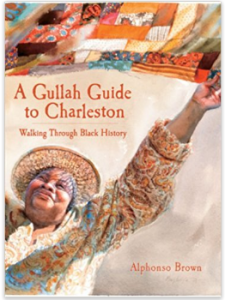 Gullah is an essay English-based, creolized language that naturally evolved from the unique circumstances of, and was spoken by, the slaves in South Carolina and Georgia. It is not written language. It is sometimes referred to as the patios of the Lowcountry. Along with many of the African and English words and expressions, it may also contains some other foreign languages or whatever could be picked up, depending on the nationality of the slave owner. The word Gullah is believed to be a mispronunciation of the African word Gora or Gola, which were names of tribes living in Sierra Leone, West Africa. The Via do my homework people, or Gala, or Gallinas are believed to be the African connection for the Gullah people in the Sea Islands. I was recently in Charleston, SC and wish I had this book at that time. I took Mr. Brown’s bus tour of his city and it was one of the best I have taken. When I return I’ll be sure to take his guide with me and take a walking tour.